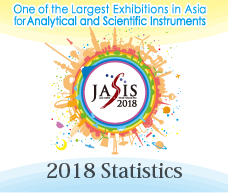 The Japan Analytical Instruments Manufacturers’ Association (JAIMA, 1-12-3 Kanda Nishikicho, Chiyoda-Ku, Tokyo 101-0054, President: Gon-emon Kurihara, Representative Director and President of JEOL Ltd.) will hold a JAIMA Symposium at “Pittcon 2018”, the world’s leading annual conference and exhibition related to laboratories and laboratory equipment (February 26 through March 1, 2018, Orlando, Florida, USA). The theme of our symposium will be “Analytical Solutions for Biopharma and Biotherapeutics”, introducing the latest analytical solutions for drug development in biopharmaceuticals and biotherapeutic agents. This will be the second time hosting this symposium continuing the same theme that was well-received last year at Pittcon 2017. After the symposium is concluded, this year we will also hold a networking reception including the speakers. 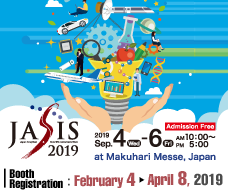 Through this symposium, JAIMA disseminates information about the latest analytical solutions related to biopharmaceuticals and biotherapeutic agents both in Japan and overseas to CROs, CMOs and pharmaceuticals manufacturers who participate from countries around the world, as well as having a JAIMA booth at the exhibition. Going forward, we will target revitalization of the analytical industry through further overseas business development.